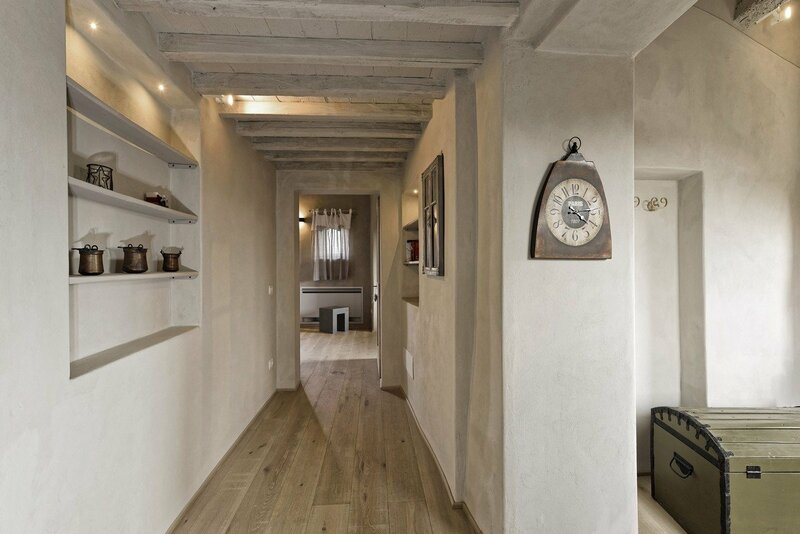 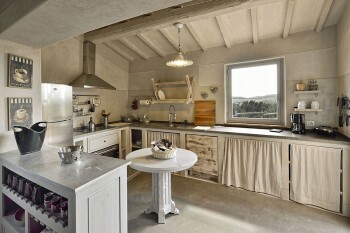 Careful restoration,ended in May 2015, using original period materials, has maintained the style of the farm and ensured an ancient atmosphere with modern technology. 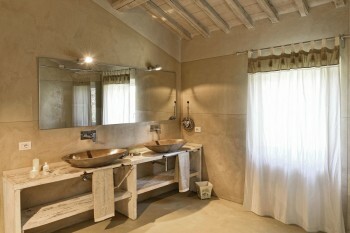 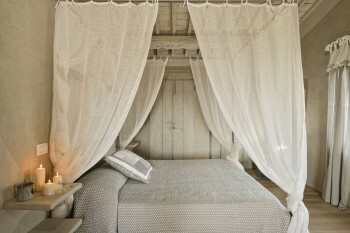 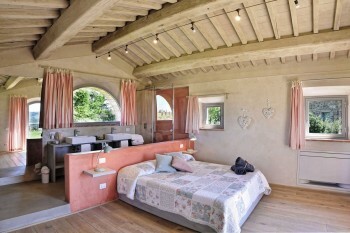 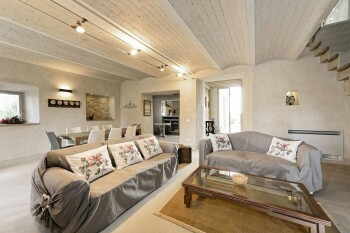 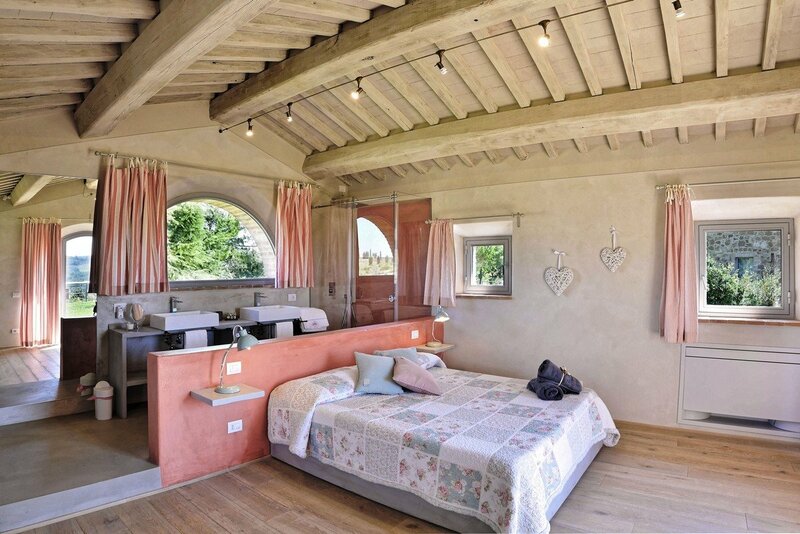 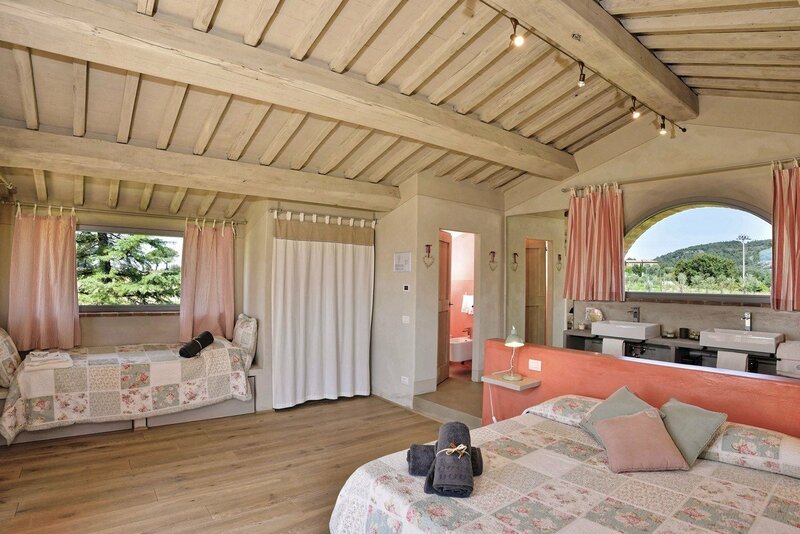 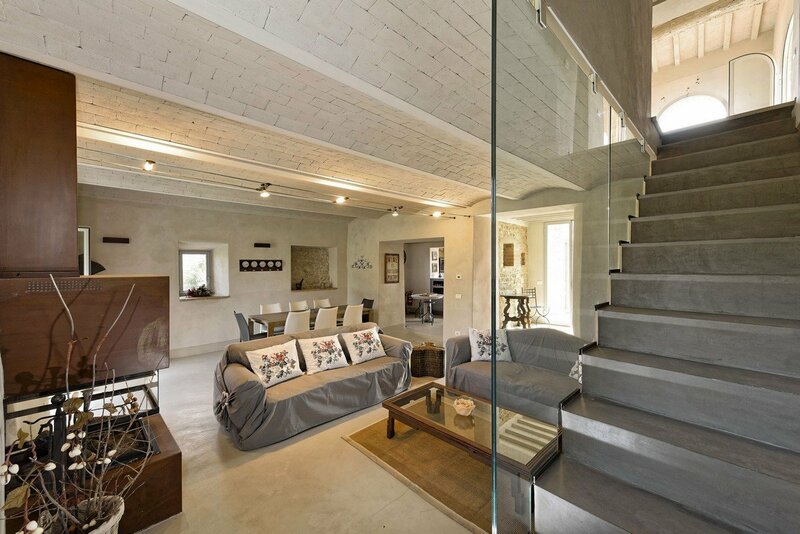 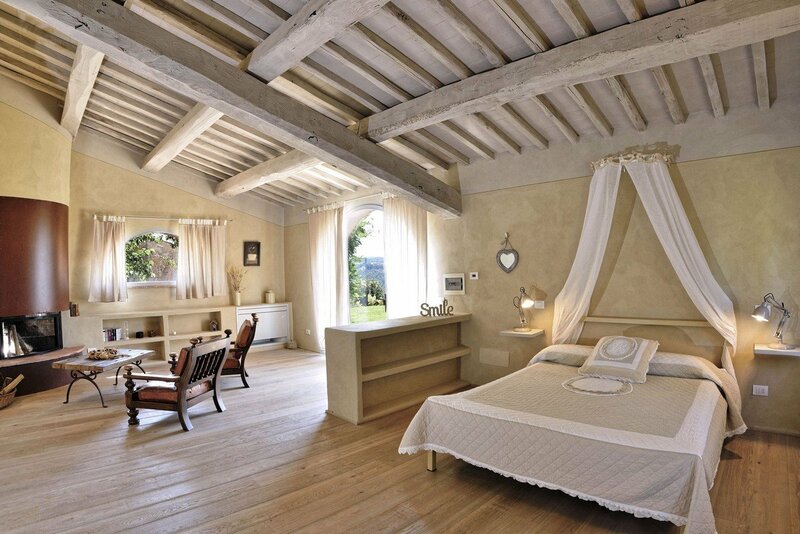 The Main Villa has 3 beautiful and spacious double bedrooms decorated with elegant colours. 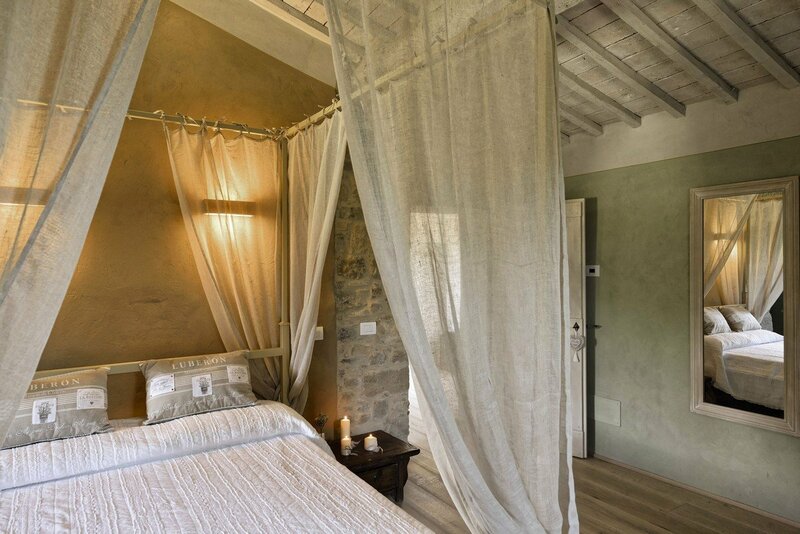 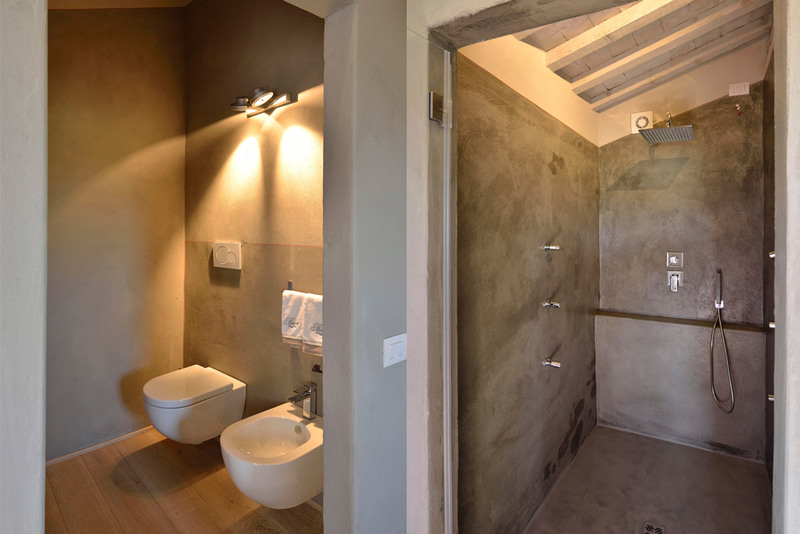 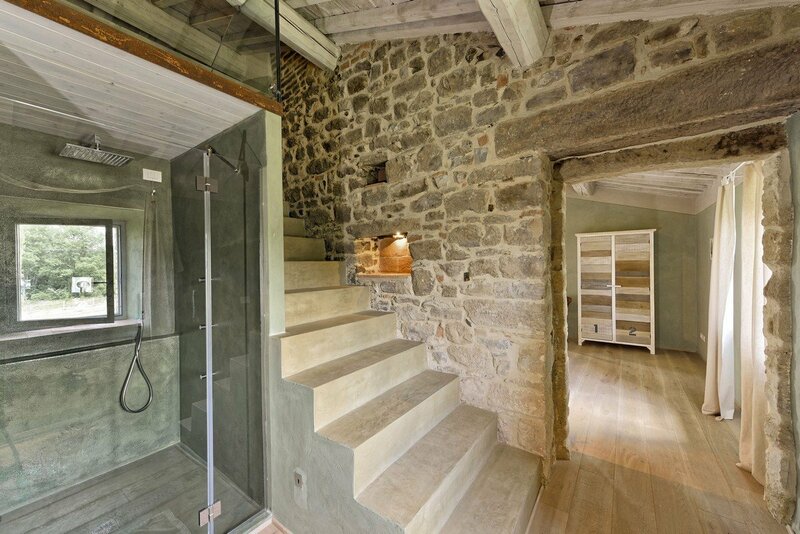 Stylish and spacious bathrooms, equipped with bathtub, shower (2 with water massage) and all amenities to complete intimate privacy during your stay.The two cottages , 20 mt far from each other , has 2 beautiful double bedrooms . 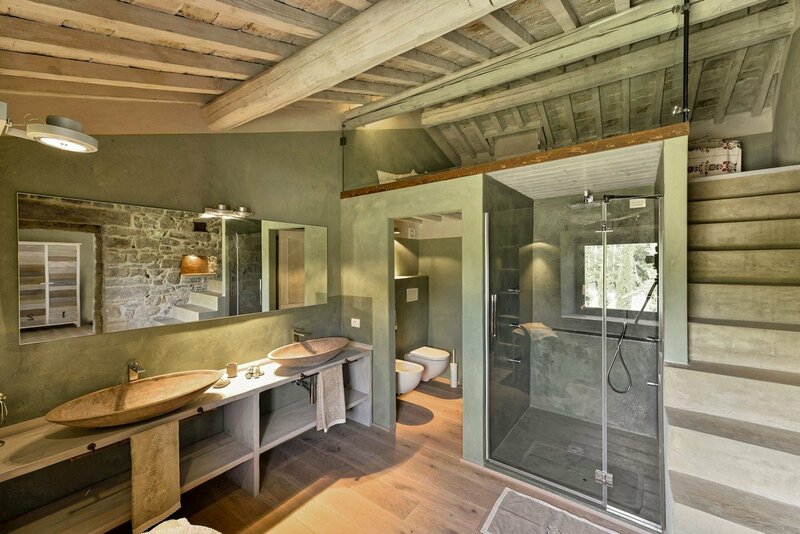 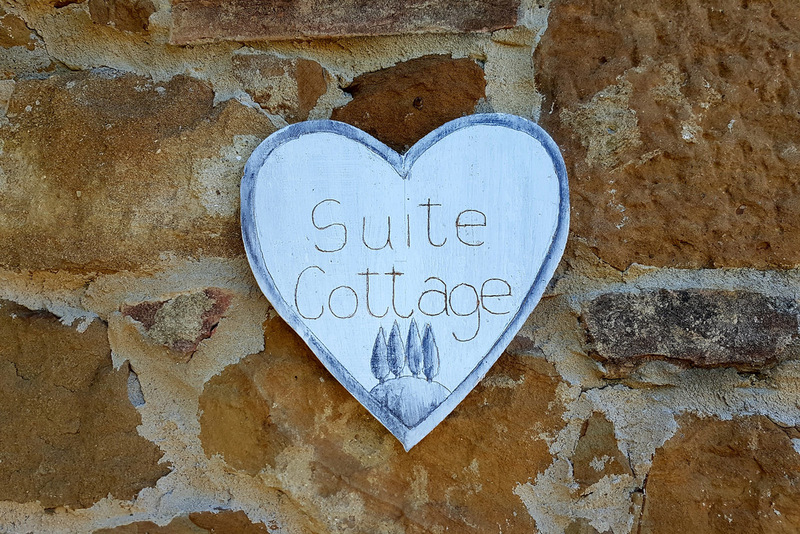 The Suite Cottage has a huge bathroom, with modern bath tube and big shower, a modern fireplace inside the romantic bedroom . 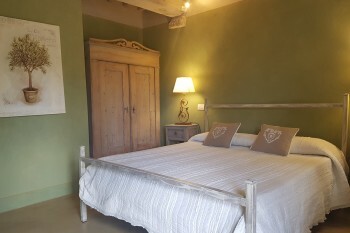 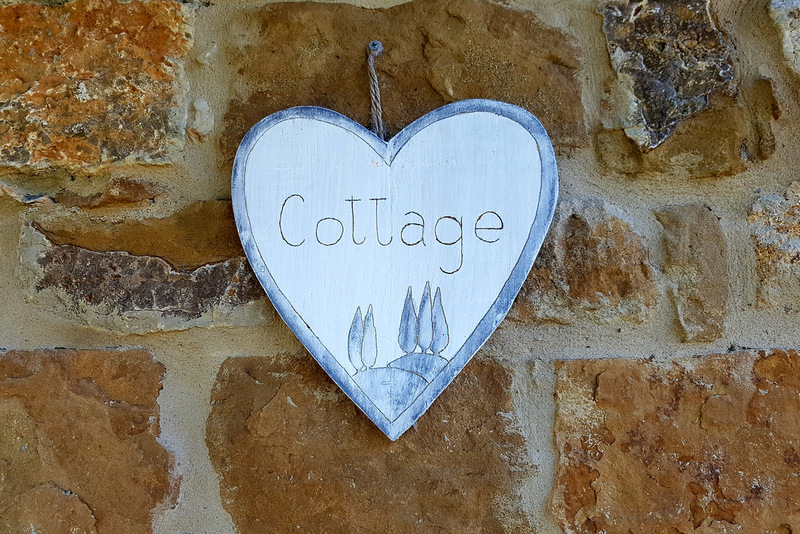 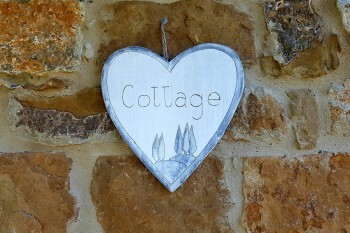 The Cottage has a cozy double bedroom with an extra single bed on request. 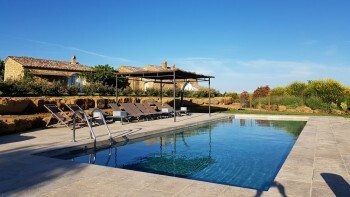 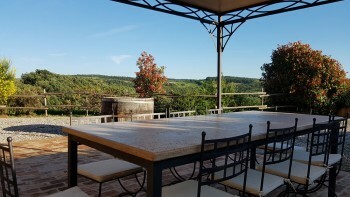 The beautiful swimmingpool has a heartbreathing view to Montepulciano . 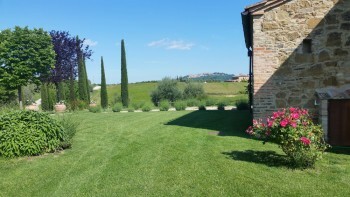 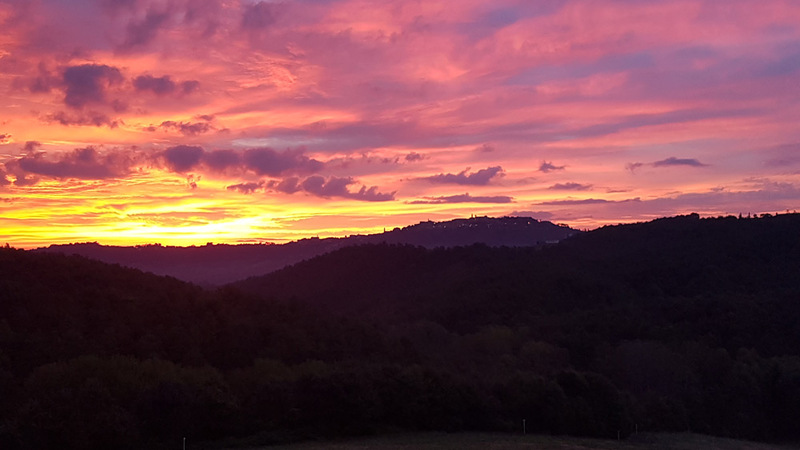 You are surrounded by the amazing Tuscan hills . Laying on the modern sunbeds you can enjoy the Sun or the shadow of the gazebo. 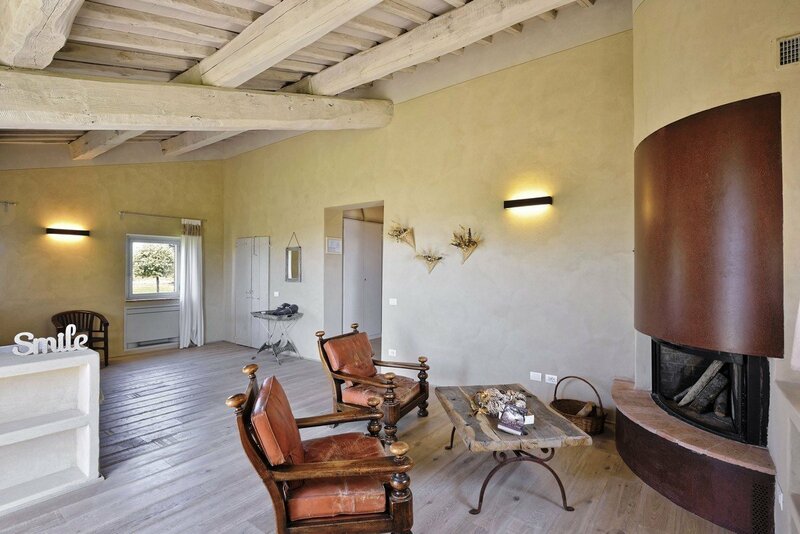 Wifi in the all property . 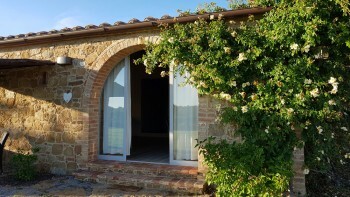 Air conditioning and heating included . We rent the whole property all together not separately . 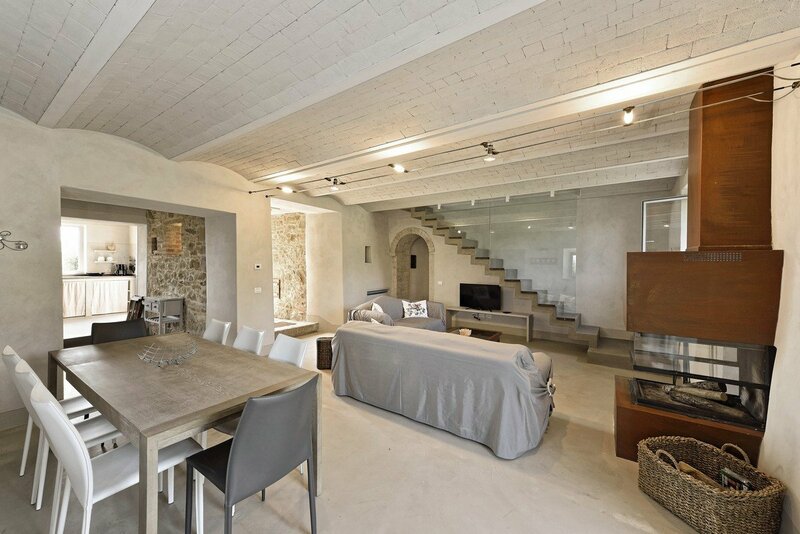 In the Main Villa you can enjoy a spacious living room and dining room with an amazing modern fireplace on the ground floor. 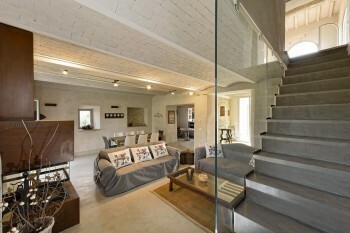 From the living room you can access the groundfloor double bedroom. From the dining room you access the beautiful modern kitchen through an aperitive area. 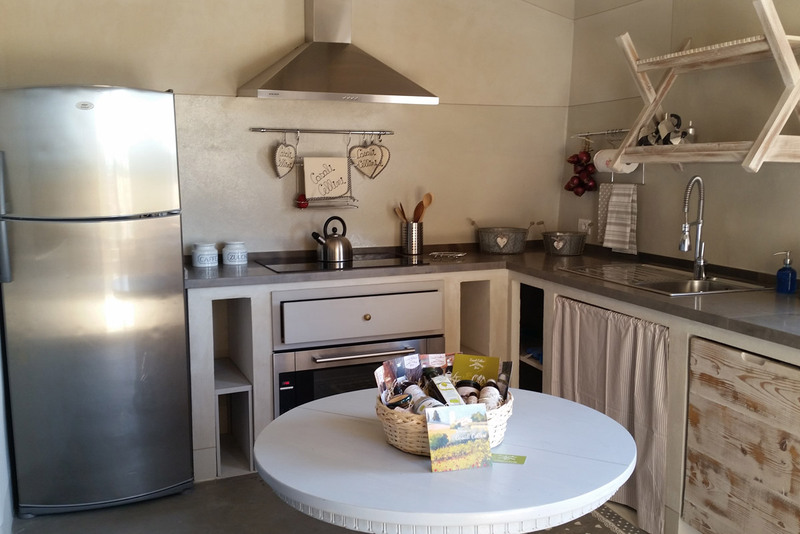 The kitchen is equipped with all amenities (90 cm oven , 90 cm electric hob, dish washer, toaster, american coffe, tea kettle, nespresso coffe machine , italian coffee machine) . 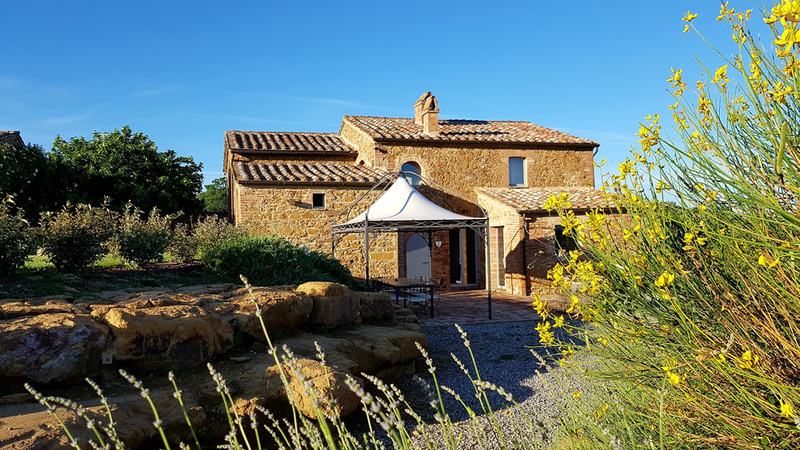 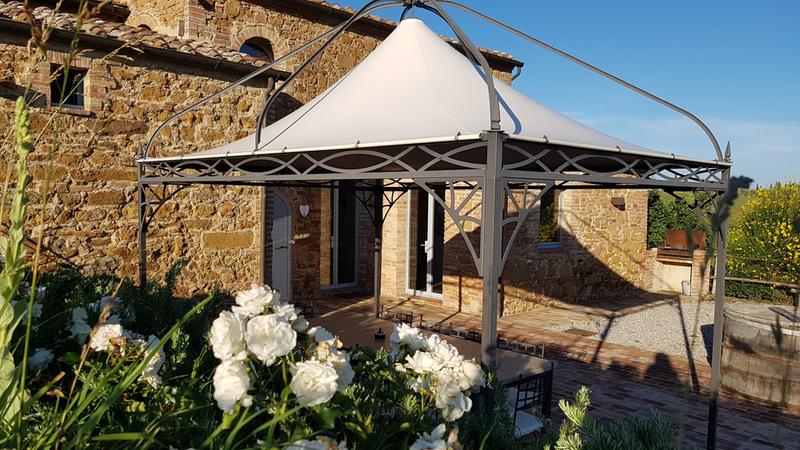 Directly outside the kitchen you access the gazebo area where you can have lunch or dinner (10 people) with a marvellous view of Montepulciano. 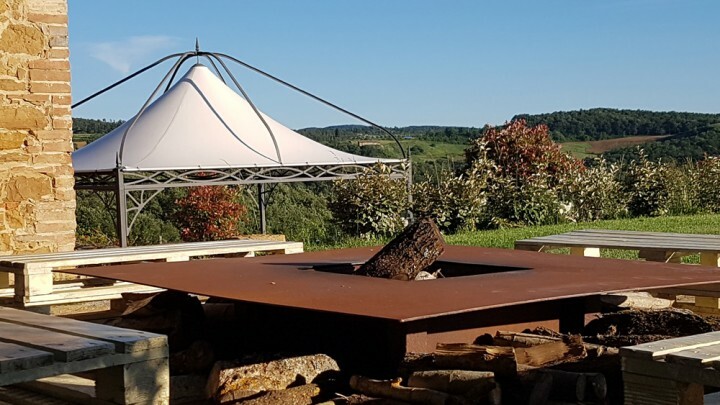 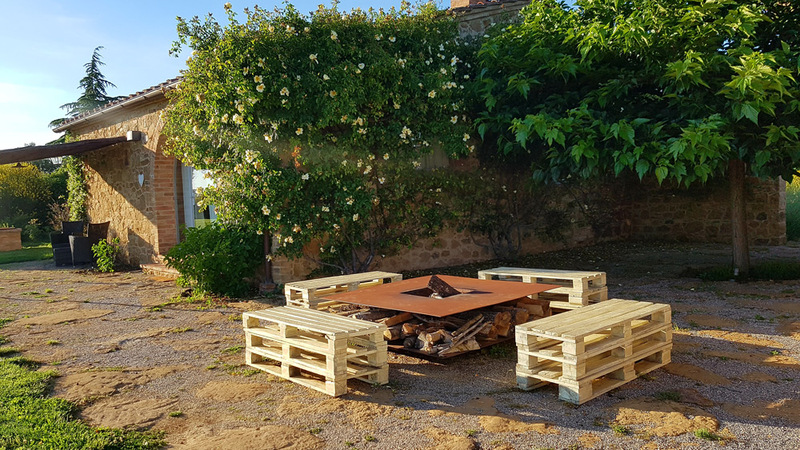 Next to the gazebo area you can enjoy a barbecue grills with friends. 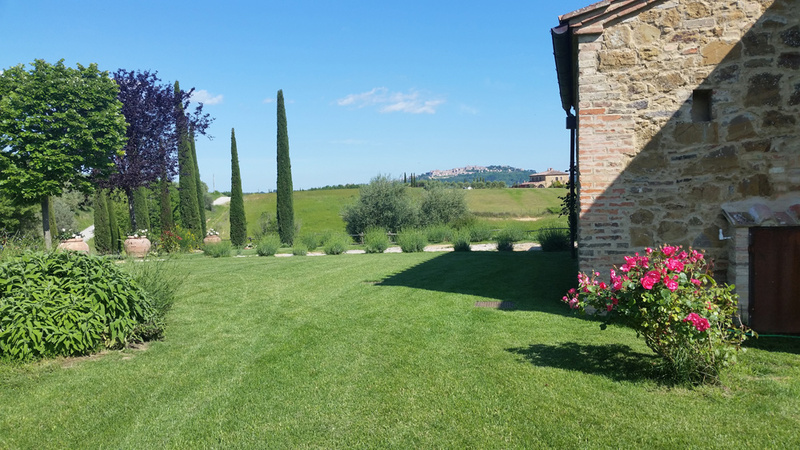 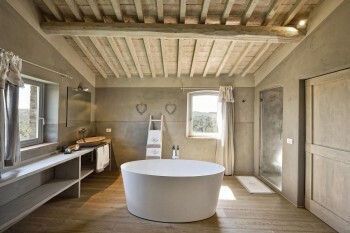 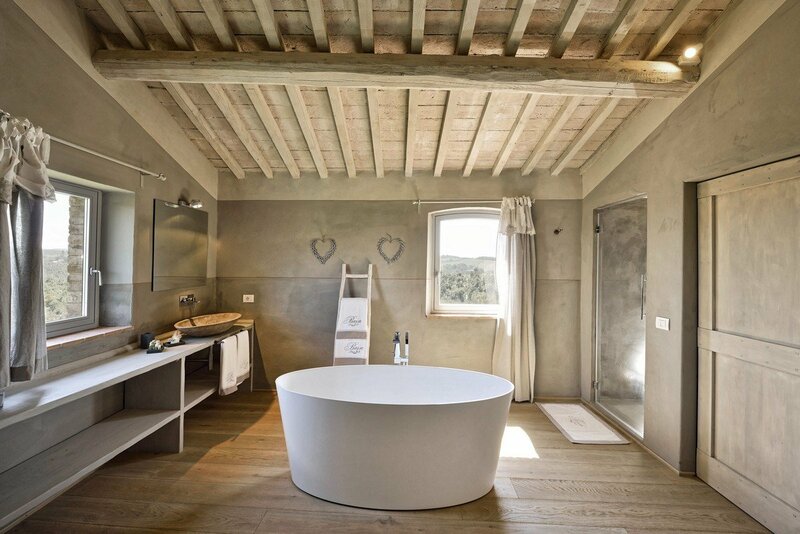 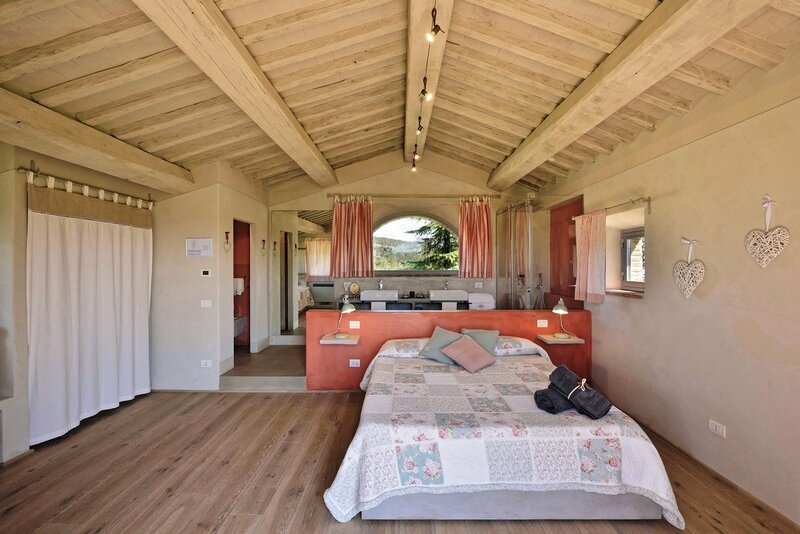 You can admire the breathtaking views of the gentle Tuscan hills all around and ear the sound of silence. 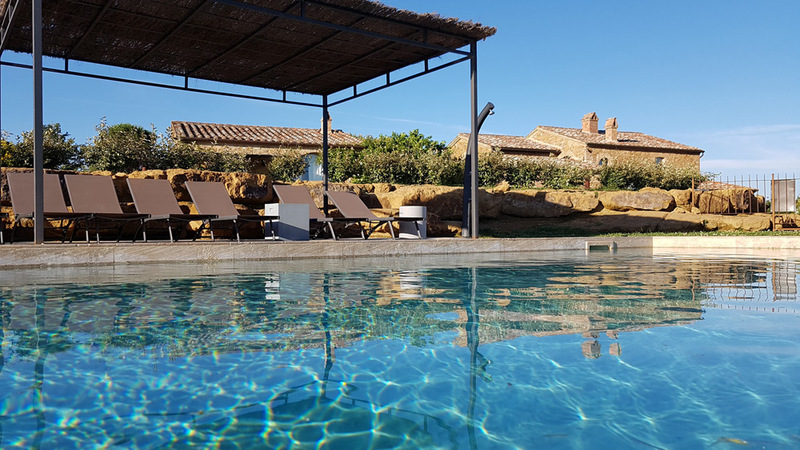 The large private garden with a panoramic wonderful swimming pool looking out over Montepulciano garantee you a relaxing holiday. 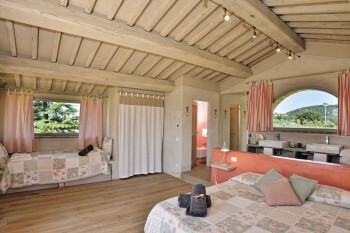 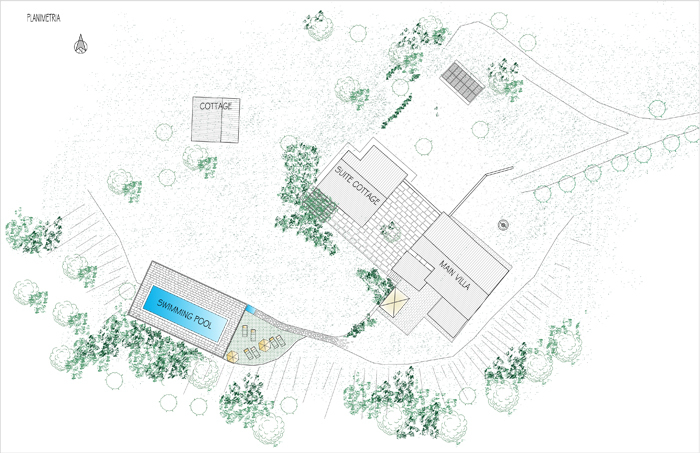 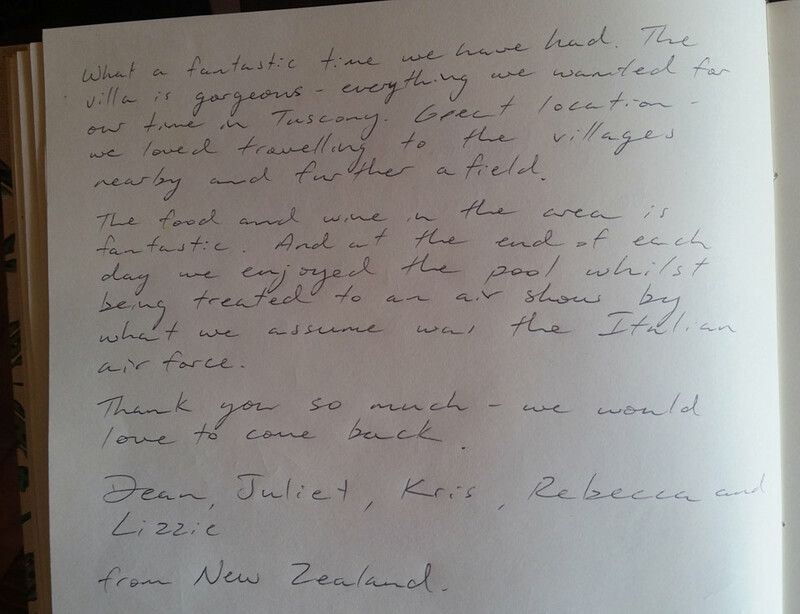 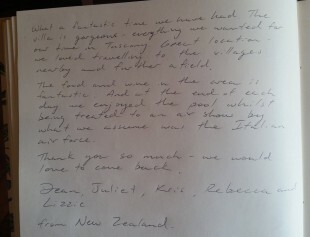 The whole Villa has air conditioning , heating and wi-fi provided. 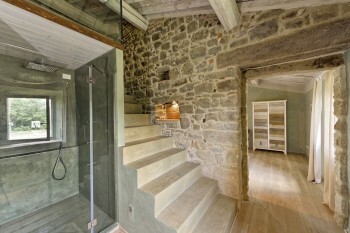 Laundry with washing machine and dryer . We rent the whole property all together not separately. 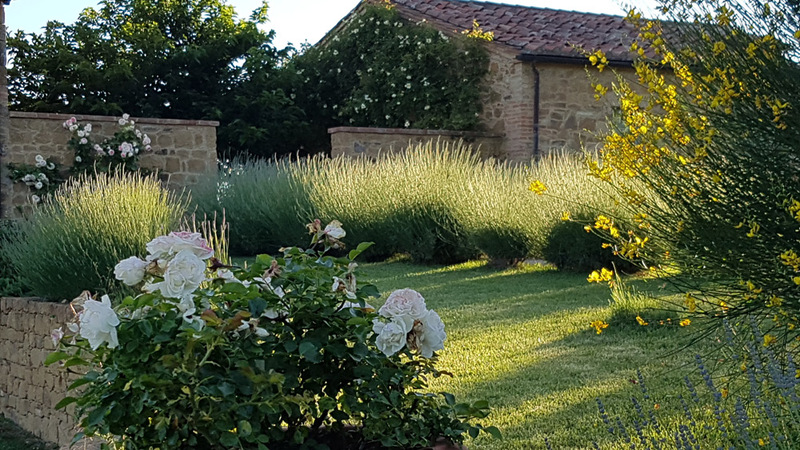 A tin of our organic extra virgin olive oil and a selection of our organic products to welcome you, for a Holiday in harmony with Nature. Internet connection wifi (pool zone too) , flat screen TV and satellite with ASTRA 19. Arriving from Torrita di Siena follow direction Pienza. When you see the sign Montefollonico don't turn left but remain on SP15. 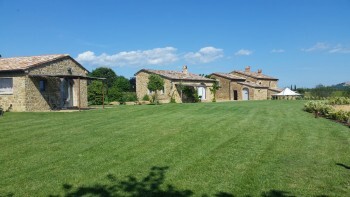 After 1 km turn left towards FRIGNANO (dirt road). Go on for 1.2 km and you will find the Villa on your right side. 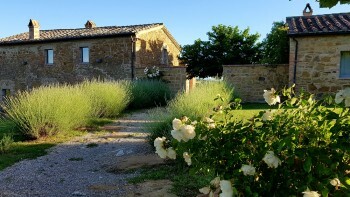 Arriving from Montepulciano on the way to Pienza , turn right towards TORRITA DI SIENA. 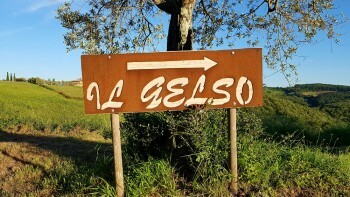 Turn right at your first road (dirt road) towards FRIGNANO. 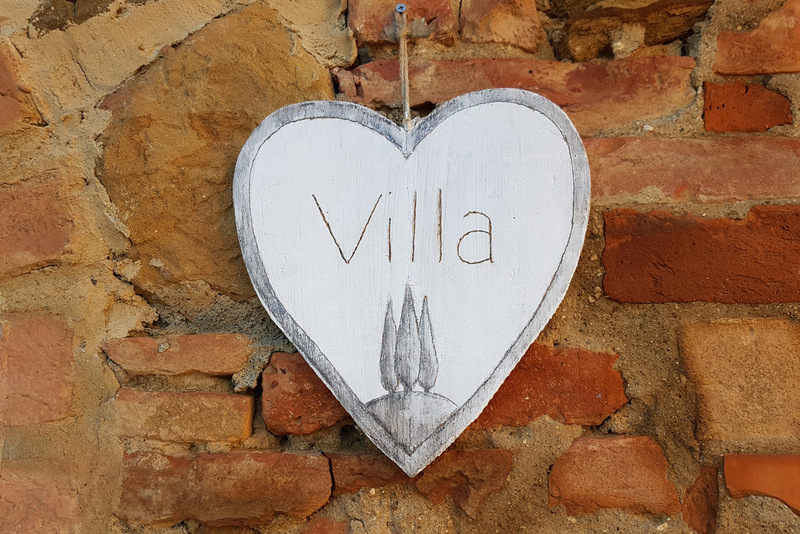 Go on for 1.2 Km and You will find the Villa on your right side.